Beginners are often faced with the fact that to sing in that tone, which is written in the accompaniment, it is inconvenient. The melody in this case you will have to transpose, that is, to move in a different tone and then for her to find new chords. But first, you need to determine what the tone will be convenient for you. Define the range of his voice. Sing the scale. Sounds can you not call and sing them on any syllable like "La-La-La" or "tra-TA-TA." Some sounds you will be singing comfortably, others not so good, and others will be either too high or too low. Find on the keyboard the highest sound you can sing even if you sing it with a lot of stress. Write him notes or letters. For example, FA of the second octave. Similarly, find the audio below which you will not be able to take anything. Let it be Sol of the small octave. Thus, your full range is the distance of the Sol of the small octave and FA second. Sing the scale from the lowest sound to the highest and Vice versa. Please note that the sound located near the extreme that you sing is not very convenient. Determine the lowest and the highest of them. Uncomfortable usually three or four notes in the top and bottom of the full range. In this example, this is likely to be to the first octave and the second re. This interval and is a comfortable range for you. View the notes of the song you are going to learn. Determine which part of the stave is a big part of its constituent sounds and how this part fits your range. A few notes located in an accessible but not very convenient part of the scale you take, if you know how to control the breath. But most of them you have to take without strain. If the vast majority of the song is out of your range, try transposing the melody. Define the tone in which it is written. This is done on the key characters and the last note. 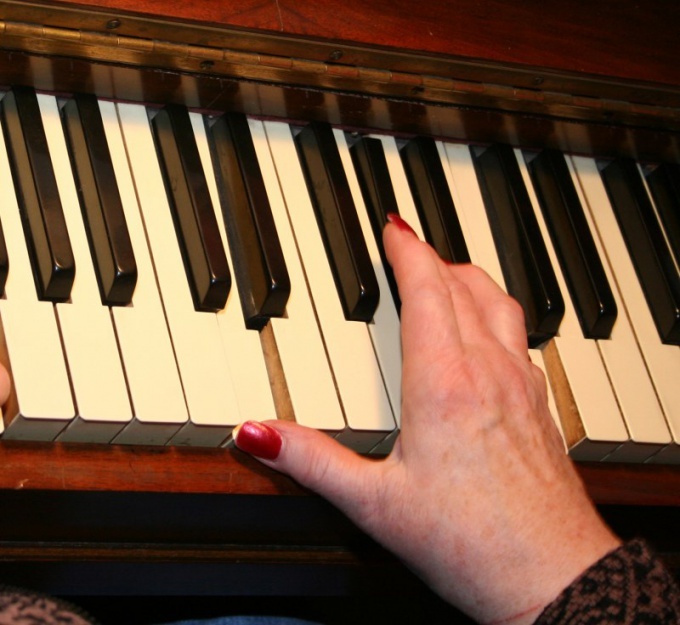 View the table of scales, chords and arpeggios, what key matches the data key signs. To distinguish major from minor key can sound. Major sounds cheerful and fun, minor — sad and lyrically. Determine how much you need to lower the high-pitched songs that you will be able to take it. Figure out what stage the original key it corresponds to. It will be on the same level of the desired tone. Count a corresponding number of stages and define a tonic. View what interval are the tonic of the original and new keys. On the same interval, transfer all other sounds and record them. Similarly transporoute accompaniment chords.